VAUXHALL PETROL ASTRA & BELMONT. VAUXHALL BELMONT SALOON MODELS, INCLUDIING GLSi 1196cc 1297cc 1598cc and 1796cc PETROL. VAUXHALL ASTRA HATCHBACK & ESTATE MODELS, INCLUDING GTE. COVERS MOST FEATURES OF THE BEDFORD ASTRA AND ASTRAMAX VANS. 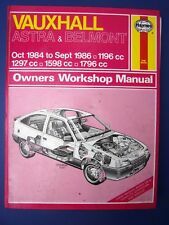 Vauxhall Astra and Belmont 1196cc 1297cc 1598cc 1796cc Petrol 1984 - 1991 Haynes owners workshop repair manual. Used condition FREE UK POSTAGE. VAUXHALL ASTRA &amp;amp;amp;amp;amp; BELMONT HAYNES MANUAL Oct 1984 to Sept 1986. 1196cc, 1297cc, 1598cc, 1796cc, 1998cc. Vauxhall Belmont Saloon models, including GLSi and Sri 1196cc, 1297cc, 1598cc, 1796cc & 1998 cc petrol engines. Vauxhall Astra Hatchback and Estate models, including Sri and GTE. Haynes Manual 1136 Vauxhall Astra Belmont Oct 1984 to Sept 1986. VAUXHALL ASTRA & BELMONT 1984 to 1986. USED Haynes Manual 1136. It may have finger marks or oil stains. Vauxhall Astra & Belmont Oct 1984 to Sept 1986 1196cc 1297cc 1598cc 1796cc. Frajile Collectables. 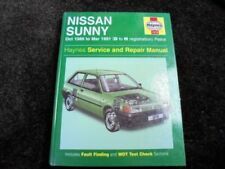 Nissan Pulsar (82-87)and Holden Astra (84-86) Haynes Repair Manual (Australian Models). Part of the Haynes Repair Manual Series. Series: N12/LB, LC. Wiring diagrams are also provided. Chapter 7A: Manual transmission. Models Covered Vauxhall Astra Hatchback and Estate Models including GTE - Vauxhall Belmont Saloon Models including GSI. THIS MANUAL COVERS VAUXHALL ASTRA HATCHBACK, SALOON, ESTATE INCLUDING SPECIAL EDITION AND LIMITED EDITION MODELS AND BELMONTS WITH 1196 CC, 1297 CC, 1388 CC, 1598 CC, 1796 CC AND 1998 CC PETROL ENGINES INCLUDING 16-VALVE. Vauxhall Astra Belmont Astra Belmont models with petrol engines including special / limited editions. Covers most features of convertible / Astra / Astramax vans (including 1992 model covertible and Astramax). Vauxhall Astra Belmont Oct 1984 to Sept 1986. Haynes Workshop Manual. Vauxhall Astra & Belmont Oct 1984 to Sept 1986. Book has marks on it from being used. This manual is the early original print edition of the Haynes 1136 manual. This manual covers petrol engines the 1196cc 1297cc 1598cc 1796cc petrol engines. This manual covers hatchback saloon and estate models including the GTE models. Bedford.Vauxhall Astra & Astramax Van (1984 on) - use in conjuction with Haynes Manual 1136. Vauxhall Astra (1980 to 1984) - use in conjuction with Haynes Manual 635. 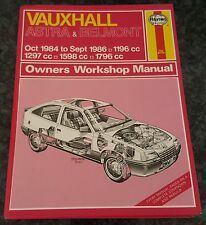 Vauxhall Astra & Belmont (1984 on) - use in conjuction with Haynes Manual 1136. Vauxhall Astra & Belmont petrol. Oct 1984 to 1990 - 1196cc, 1297cc, 1388cc, 1598cc, 1796cc, 1998cc. Frajile Collectables. AUTODATA 294. ASTRA KADETT. VAUXHALL OPEL. Year :- From 1979 to 84. 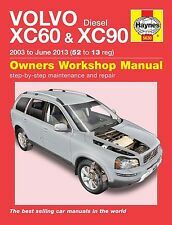 Part :- Car repair manual. Intended use :- To help fix your car & for information. Contents :- Everything to fix the. Bar code No. 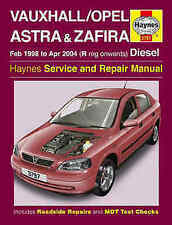 Vauxhall / Opel diesel engine Haynes manual. Covers engines from 1982 to 1996 (up to N reg). This manual is in a used condition. Theres marks from use / storage. No torn or missing pages. All info can be seen fine. VAUXHALL / OPEL DIESEL ENGINE. Haynes Service and Repair Manual no.1222. October 1984 - 1990 petrol models. T﻿hanks for looking. VAUXHALL / OPEL ASTRA, BELMONT, NOVA, CORSA. FOR VAUXHALL ASTRA, NOVA, CORSA. VAUXHALL PART NO : N/A. CAVALIER, BEDFORD ASTRA & ASTAMAX. SERVICE & REPAIR MANUAL SERVICE & REPAIR MANUAL. ONLY 1 AVAILABLE. VAUXHALL ASTRA & BELMONT 1984 ~ 1988 (1998 1796 1598 1297 1196) HAYNES SERVICE & REPAIR MANUAL. VAUXHALL ASTRA. FOR VAUXHALL ASTRA. VAUXHALL PART NO : N/A. SERVICE & REPAIR MANUAL SEVRICE & REPAIR MANUAL. ONLY 1 AVAILABLE. 1200, 1300, 1600 & 1800. ABSOLUTE MUST IF SERVICING / REPAIRING . Used wear and tear still readable and usable due to the age of the car manual. Add To Favorites. VAUXHALL ASTRA 1984-86' All Models HAYNES MANUAL NEW!! VAUXHALL ASTRA RANGE. HAYNES MANUAL. THIS MANUAL IS A. ALL MODELS. NEW IN WRAPPING! 1196cc, 1297cc, 1598cc & 1796cc Petrol Engines. 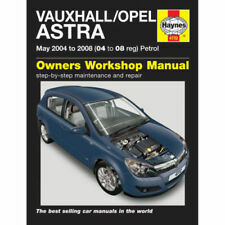 Vauxhall Astra MK2 Haynes manual. Covers petrol models from October 1984 to 1991. This manual is in a used condition. The pages have gone brown. No torn or missing pages. All info can be seen fine. 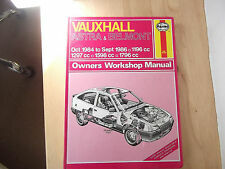 Vauxhall astra & Belmont Haynes manual. for all petrol models from Oct 1984 to Oct 1991. B TO J REG. PETROL MODELS ONLY. PUBLISHED IN 1996. THIS IS THE HAYNES SERVICE AND REPAIR MANUAL FOR THE DIESEL ENGINES FITTED TO THE VAUXHALL RANGE OF CARS AND VANS BUILT BETWEEN 1982 AND 1996. Haynes Owners Service & Repair Manual Vauxhall Astra & Belmont 84-91 Last One! Vauxhall Astra & Belmont 84-91. 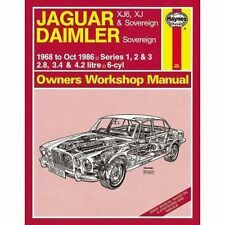 Haynes Owners Service & Repair Manual. Vauxhall Astra & Belmont ( Petrol ). Oct 1984 to 1990. OPEL ASTRA BELMONT. LIVING WITH YOUR VAUXHALL ASTRA. REPAIRS AND OVERHAUL. Routine maintenance and servicing. Brakes and suspension. Engine and associated systems. < span class = notranslate ' > -1.3 < span class = notranslate ' > -1.4 < span class = notranslate ' > -1.6 < span class = notranslate ' > -1.8 < span class = notranslate ' > 2.0 OHC.